DESCRIPTION: They weigh 0.2-0.4 oz. and have a wingspan of 6.7-7.9 in. 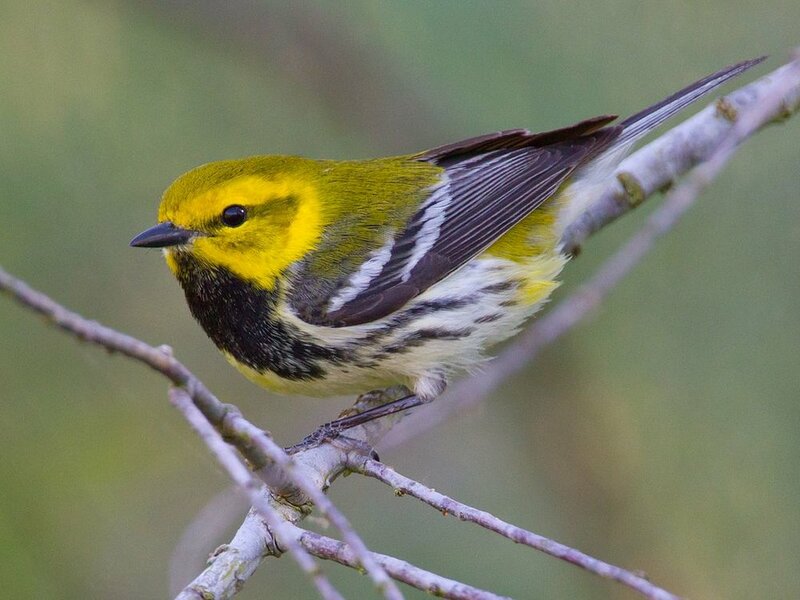 HABITAT: Black-throated Green Warblers live in coniferous and mixed forests. NOTES: Black-throated Green Warblers have a call that sounds like “zoo-zee-zoo-zoo-zee.” They are protected on the US Migratory Bird list.